Some helpful tips for Halloween from the Missoula Police Department. *Walk Safely: Cross the street at corners, using traffic signals and crosswalks. 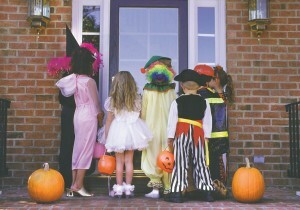 *Trick-or-Treat with an adult: Parents should consider that children under the age of 12 should not be alone at night without adult supervision. *Make costumes safe: Decorate costumes with reflective tape. Carry glow sticks or flashlights to help children see and be seen. *Drivers slow down and be alert. Be prepared for the unpredictable. Eliminate distractions in your car so you can stay focused on your driving. Anticipate heavy pedestrian traffic, use your headlights early. *Check your child’s treats before any consumption to make sure you’re satisfied it is safe. *Most of all HAVE FUN!